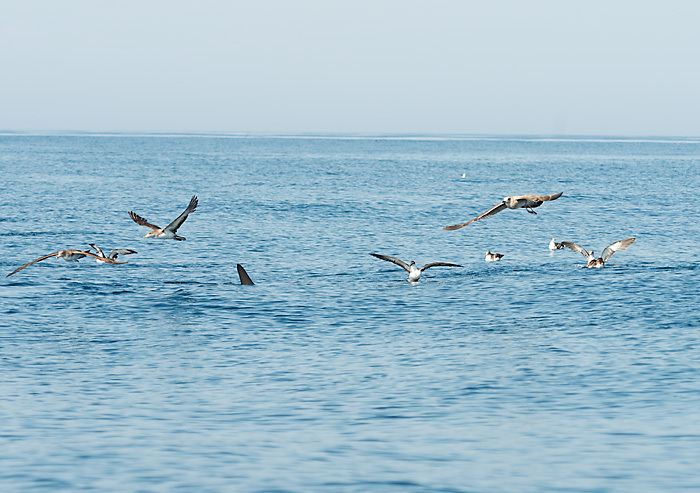 Early September i spent 4 days in Portugal to photograph Pelagic birds off a catamaran 15 miles out of the cost of Portimao. 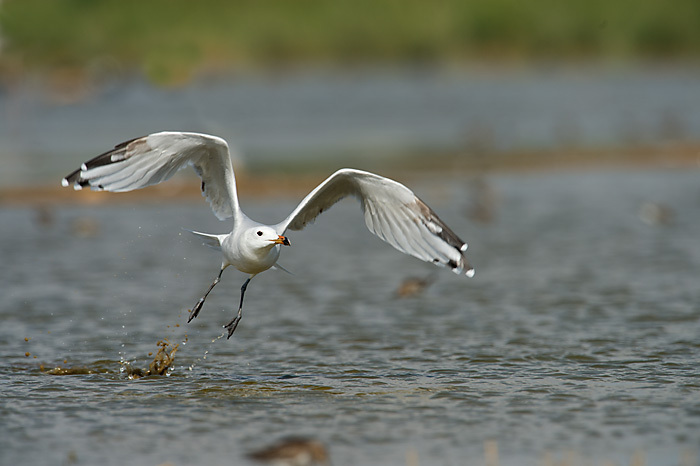 The trip was organized by Georg Schreier, a german birdwatcher living in Faro. It was nice to be out again with Hans, swapping the hot, mosquito infested swaps of Belarus for the wide open ocean off Portugal. 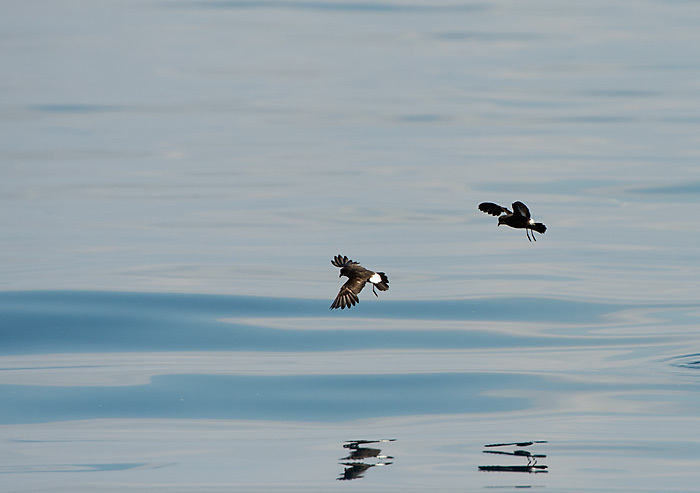 The aim was to photograph species like Shearwaters, Petrels and Gannets off the catamaran lured by means of chumming. Chumming consists of fish parts and blood which attracts the birds and as we found out: also sharks! An early start, as always i would say! Arrived at Gatwick airport by 06.30 and the flight to Faro left promptly at 08.00. The flight took about 2 hours and after picking up the luggage, i was greeted by Hans in the arrival hall. It took quite some time for us to get our rental car but eventually we were on the road to our hotel, not far from Faro. It was a short 20 minutes drive and when we arrived Georg was already waiting for us. We had some lunch and it was decided that we would spent the afternoon near Faro airport. Next to one of the many golf courses was a purpose built hide which would offer us opportunities to photograph some of the local bird species. Of course the weather was great with temperatures around 30 degrees. After a short drive , we arrived at the salt pans near Faro. We saw Osprey, European flamingo’s, Gallinules and Azure winged magpies to mention a view. We parked up the car and walked along the golf course towards the hide. 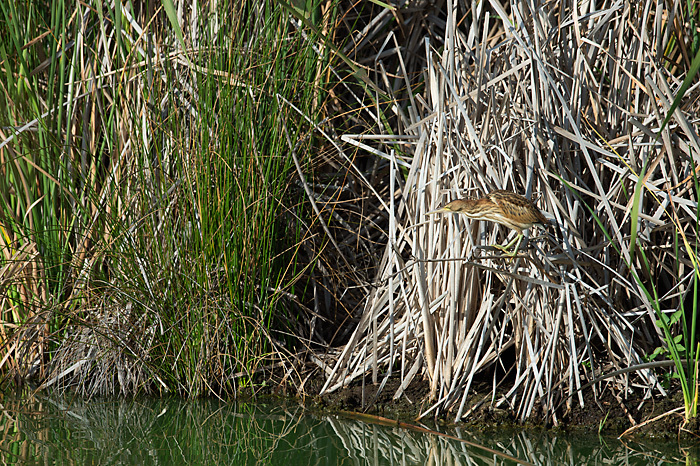 The hide was built on the edge of the golf course near a small pond with reeds. Photographing was, unfortunately, near impossible. The birds were too far off and the reed obscured our vision. Still we managed to see some nice bird species like Cattle egret, Purple Gallinule, Red rumped swallows and Glossy ibis. Around 18.00 we made our way back to our hotel, which was absolute superb with a great restaurant and fab swimming pool. After an early diner, we made for bed. Georg would pick us up around 07.03 for a full day of bird photography. Promptly we left the hotel in the direction of Lagos. According to Georg there were good possibilities to photograph raptors in that area. 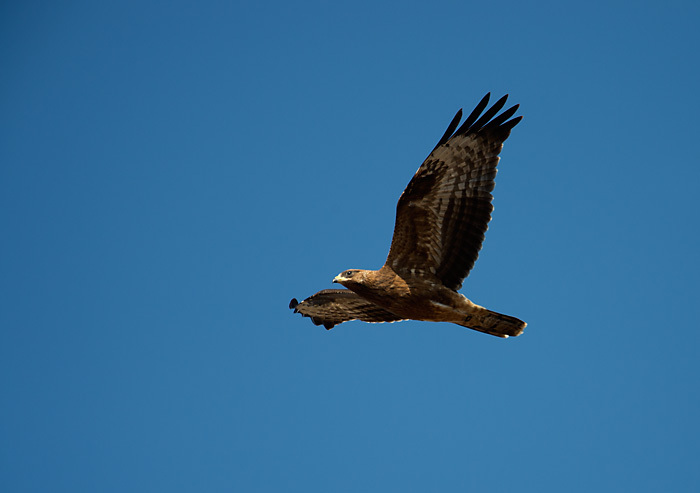 Lagos lies on the migratory route for many raptors flying to Northern Africa. After a 2 hour drive, we arrived at a small hill in the country side where we met up with a bird watcher who was counting the many passing raptors. We saw various Vulture species, Black kites, Peregrine falcon, Harriers and Hobbies but disappointingly too far out to take any decent images. The only decent image we could take was of an immature Honey buzzard that flew passed our position. Around lunchtime we called it a day and after some lunch we decided to drive through the country side and try our luck from the car. Not much was seen and it turned into a rather frustrating afternoon. We discussed with Georg our options and he suggested a small Laguna where there would be good opportunities to photography waders. Later in the afternoon we arrived at the Laguna near Albufeira. 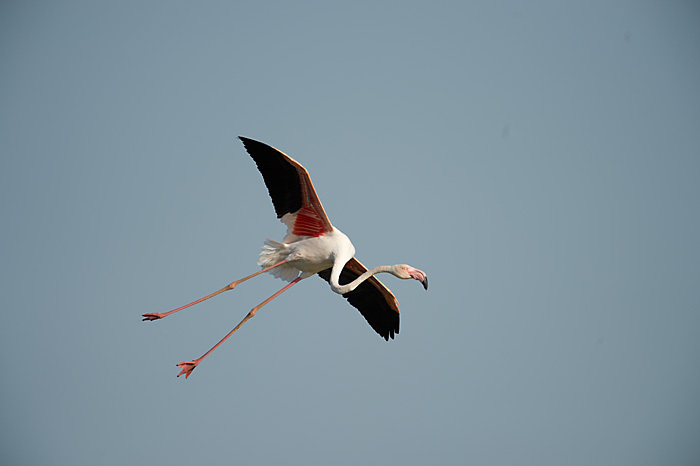 We were greeted by many European flamingo’s and finally we had found a decent spot for some serious bird photography. Along the edge of the shallow lagune were many waders: Black-tailed Godwit, Black-Winged Stilt, little Stint, Dunlin. We happily spent a couple of hours there and we took some nice images. There was quite a bit of disturbance. The Portuguese obviously have a different meaning to the word Nature reserve! Our first day at sea! We arrive in Portimao promptly at 07.30 and board the catamaran. Today we will share the catamaran with a number of die hard Austrian bird watchers and a Portuguese couple with daughter. We set out to sea. No wind means that the catamaran needs its inboard motor to get us out to sea. It will take around 2 hours to cover the 15 miles to the sea canyon. Here is where we hope to encounter the bird species we are after: Manx Shearwater and Wilson’s petrel. 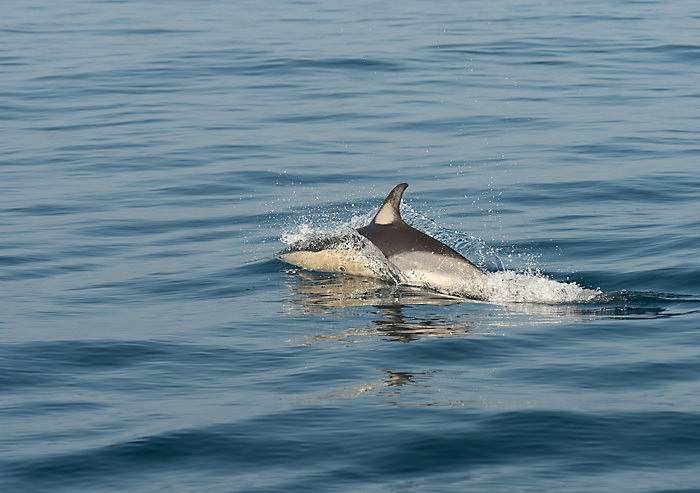 But during our trip we encounter much more then just birds; Dolphins, whales, Blue shark and a Hammerhead shark attacking resting Shearwaters! Amazing to see. We finally arrive at the sea canyon. Here the sea is approximately 500 meters deep! We start the chumming and in no time the first Petrels arrived but unfortunately they stayed too far out to take any decent images. The Austrians didn’t care: they took pictures even when the birds were just a dot on the horizon! It shows that birdwatchers have a different approach then bird photographers! The Portuguese couple decided that it would be really cool to go for a dip and jumped off the catamaran in the sea. After a little while the captain adviced them to come back on board; a shark fin has been spotted! After the family is back on board, the crew caught a 1.50 meter Blue shark! It is tagged and put back in the ocean.Even though the shark was relatively small, a bit would be very unpleasant. We arrived back in the harbour rather late and decided to head back to Faro. It was a very cool expedition. Amazing to see the birds and other ocean creatures but from a photographic point of view; rather poor! 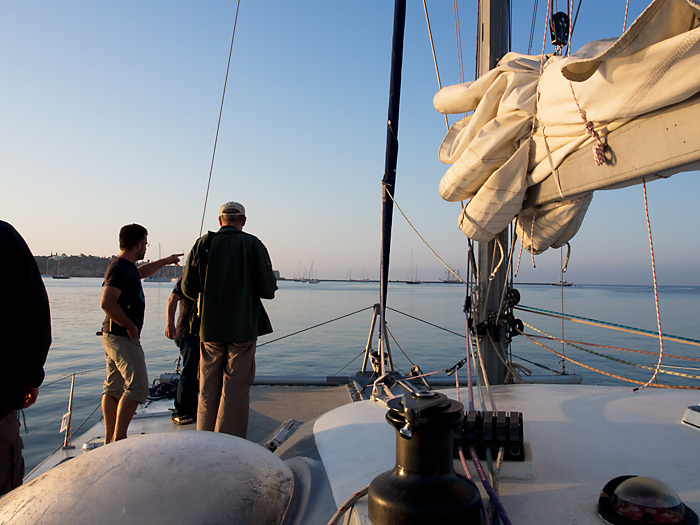 Tomorrow another day on the catamaran! The last day of this small trip. We set sail and the weather again is beautiful. I also took my little Olympus Om DEM 5 with me. I would like to see what this camera can do with a 100-300 Panasonic lens attached. it has been decided that this time we will cover around 8 miles out to sea, so not as far as the previous day. The trip is rather uneventful this time. Not many dolphins or whales show up this time. We start chumming around 12.00 but again the result is disappointing. The Petrels are there but because there is so little wind, the birds stay much further away from the boat. Given that these birds are the seize of a swallow, you can imagine that for good images you really need them close by. I do try the little Olympus with the Panasonic 100-300 attached but i find it really hard to work with this camera. The EVF blanks out everytime you take an image and the AF cant really keep pace with the birds, so all in all for serious bird photography this set-up is not really working. Pretty soon i am back using the D4 again with the 70-200. In these cases ,with the birds too far out, a cropped camera would have been a blessing. We take some images of the Petrels but they are no more then record shots. We arrive back in Portimao around 14.30 and decide to spend the reminder of the afternoon at the Laguna near Albufeira before heading back to the hotel. 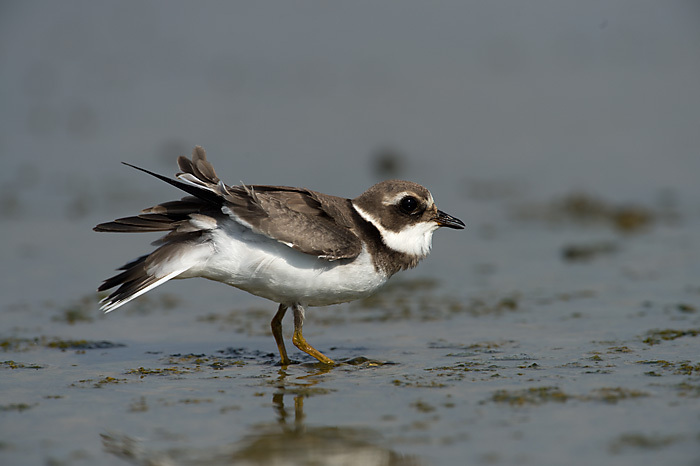 We take some nice images of the various bird species there (little Stint, Caspian Tern, Dunlin, Sanderling, Curlew Sandpiper) and all too soon we are heading back to our hotel. We say goodbye to our host, have a lovely swim in the fantastic pool and a nice meal before heading to bed! I organized this trip in conjunction with Georg Schreier in Portugal. We used Georg also as a guide for a few days. Cost per person for 2 days EURO 145. Georg is a very skilled bird watcher but unfortunately does not have much of an understanding of what nature (bird) photographers expect from a trip. Photography wise; the laguna at Albufeira proofed to be best but in all honesty if i would have known the limitations beforehand, i don’t think i would have gone on this trip. The trips with the Catamaran worked out at EURO 70 per person that includes lunch and beverages. Very good value and despite the fact we didn’t really photograph much a fantastic experience. The flight from Gatwick with Easyjet worked out at £ 175 return and the car rental(Europcar) was £150 for 4 days. The hotel was very good. (Hotel Rural Quinta Poelhao). Cost was £375 for 4 nights including Breakfast and diner per person.